Didn’t it get voted as the “Crappiest Town in the UK” years ago? Yes… but it’s also been voted as the Top 10 Cities to Live in the World (THE WORLD PEOPLE!) – and did you also know it’s the City of Culture 2017? So what’s so great about Hull? Here’s my top 10 reasons. We don’t have red telephone boxes… we have cream ones! William Wilberforce, Amy Johnson, The Beautiful South, Spiders from Mars, The Bumble Bee Lady – if you haven’t heard of them, then I suggest you google them now… NOW! Chip Spice – enough said. We like culture so much, we’ll happily get naked and paint ourselves blue! 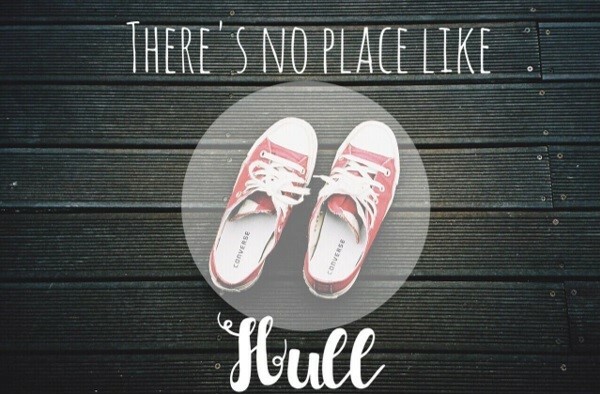 Hull is my home, and I’m proud of my roots!